Billionaire George Soros continues to pull the strings in Myanmar, along with American non-government entities, geopolitical researcher and author Anthony Cartalucci has told Sputnik, suggesting that the Rohingya crisis is a pretext to beef up the US’ political and military presence in the region to contain China's rise. "Soros' foundation along with the US State Department, the National Endowment for Democracy (NED), USAID and many others have for decades and will continue indefinitely undermining stability in Myanmar and across Southeast Asia to hinder China's rise and delay America's decline in the region for as long as possible," Anthony Cartalucci, a Bangkok-based geopolitical researcher and author, says. 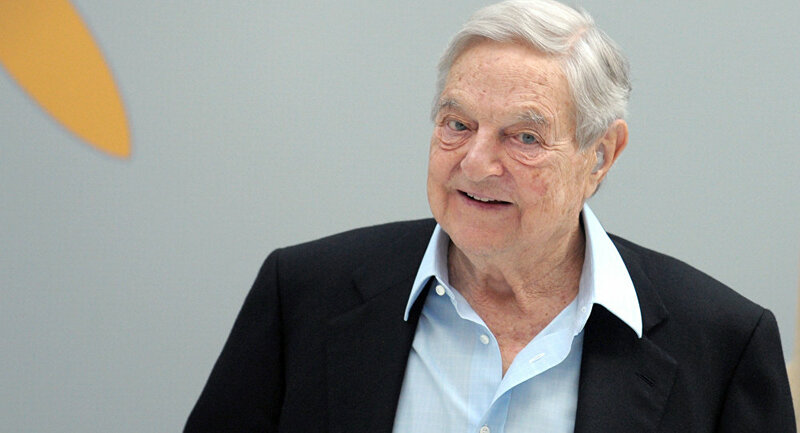 Hungarian-American investor and business magnate George Soros has a long record of meddling in Myanmar's affairs and the Southeast Asian region in general. Forbes reported in 2007 that Soros was spending $2 million a year, "trying to pave the way for democracy in Burma [Myanmar]," through the Burma Project, kicked off in 1994 and operated by the investor's Open Society Foundations. According to the media outlet, "Soros' interest in Burma [Myanmar] goes back to the fall of 1987," when protests against the government's currency reform began. In 1988 Nationwide Popular Pro-Democracy Protests — a series of nationwide demonstrations and civil unrest — engulfed the country. It was then that Aung San Suu Kyi, the leader of the National League for Democracy (NLD) and Myanmar's incumbent State Counsellor, emerged nothing short of a "national icon." Leaked Memo: Is Soros Planning 'Series of Color Revolutions' in Southeast Asia? In 1997 the American billionaire came under heavy criticism from Southeast Asia nations for the speculative attack on the country's currencies in mid-July, known as the Asian financial crisis. Speaking to Fortune's Neel Chowdhury, Malaysian Prime Minister Mahathir Mohamad stated on September 29, 1997 that Kuala Lumpur had "definite information" and "every evidence" that Soros was involved in the financial crisis, adding that the US investor was "not the only one" who fanned its flames. "In fact, he [Soros] more or less confessed later on that he was involved," Mahathir highlighted. "He had this idea that by applying pressure on Thailand and Malaysia he could prevent Myanmar from joining ASEAN [the Association of Southeast Asian Nations]." As the media outlet noted, "Soros was irked that in late July, Mahathir and the other leaders of the Association of Southeast Asian Nations formally ushered Myanmar into ASEAN." Why Did Soros Seek to Prevent Myanmar From Joining ASEAN? "In 1997 when Myanmar joined ASEAN, the US — Soros included — had already been deeply involved in coercing, pressuring, and manipulating Southeast Asian states for decades as a continuation of Western colonialism," Cartalucci responded. The geopolitical researcher explained that "Myanmar's acceptance into ASEAN gave it options, legitimacy, and leverage that the US was attempting to strip away from it just as it does today with nations like Syria, North Korea, or Iran through political isolation, economic sanctions, media campaigns, and covert subversion." "Efforts to hinder Myanmar's membership in ASEAN were intended to deny it a much needed lifeline," he remarked. In 2003 a US influential think tank, the Council on Foreign Relations, published a document entitled "Burma: Time For Change" by Burma Task Force, which comprised George Soros, then US Senate Majority Whip Mitch McConnell, National Democratic Institute for International Affairs Director Kenneth Wollack and other political and media figures. "Recognizing that democracy and the National League for Democracy [NLD] (led by Aung San Suu Kyi) cannot survive in Burma without the help of the United States and the international community, this report sounds a clarion call for change," a preamble to the document said. According to Soros-sponsored Media Matters watchdog, for many years the billionaire-linked groups gave grants to media organizations "attempting to disseminate information in defiance" of the country's government and, for instance, funded Burma News International (BNI), "a network of 11 ethnic media groups," to conduct own coverage of Myanmar's 2010 general elections. In 2015 the US magnate had every reason to declare that his mission was accomplished: during the November elections the US-backed NLD won an absolute majority of seats in both chambers of the national parliament. Almost half a year before NLD's triumph, Soros openly told journalists that his effort in Myanmar was "a longer-term investment that paid off." "George Soros is just one of many US-based vectors for cash, political, and operational support attempting to create and install a client regime in Myanmar," Cartalucci said commenting on Soros' Burmese saga, "Soros — like the interests he works in concert with — seeks to maximize his power, wealth, and influence. He can do all three by commandeering a nation's government, its institutions, its natural resources, industry, and influence over its population." The geopolitical analyst revealed that "Soros' Open Society Foundation works in Myanmar almost without exception alongside the US State Department's NED and the vast network of subsidiaries and grantees that it presides over." What's at the Root of US Burmese Policy? According to Cartalucci, what's at the root is the US longstanding plan to contain China's emergence as an influential global player. "US policy papers from the Pentagon Papers decades ago, to more recent papers concerning the US "pivot" to Asia, focus on encircling and containing China's rise," the analyst highlighted. He explained that "by controlling the government, institutions, and economy of Myanmar, the US can deny China a potential economic, military, and political partner to help elevate either nation into a position to threaten US hegemony in Asia Pacific." Referring to the ongoing Rohingya crisis, the author focused on the fact that it "is unfolding primarily in Rakhine state, precisely where China maintains a strategic port from which a variety of infrastructure projects including pipelines stretch." As for Western vocal dissatisfaction with the country's State Counsellor, Aung San Suu Kyi, over the oppression of the Rohingya Muslim minority, the analyst believes that "the criticism is mostly theater." "What is more likely is that Suu Kyi is intentionally allowing the crisis to escalate because the more it escalates, the greater the pretext and scope for Western intervention becomes," Cartalucci assumed. "Intervention will likely be used to further reduce the Myanmar military's influence as an independent institution, ultimately strengthening Suu Kyi and her NLD party, and to create a larger and more permanent presence for US diplomatic, economic, and even military activity in the country," the geopolitical researcher said.